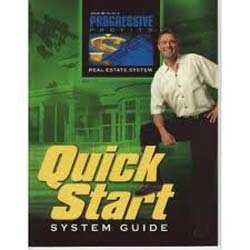 John Burley's Progressive Profits is revolutionary program where he talks about making your riches in realestate. On first glance the product is ok, but it is not nothing fantastic, there is numerous books, tools and online resources which talk about his techniques. His guide contains alot of information and very comprehensive in keeping you busy for a while. With your help we can reach more people and let them know about John Burley's Progressive Profits Real Estate System whether this product works or not. John Burley's approach is fairly elementary for my level. Brings alot of ideas to the table but nothing unique. A good read but didnt really absorb much, very much like a feel good movie! The infomation provided in his books and videos are quite generc. Good for a beginner but for the intermediate and experienced investors alot of information is old news.